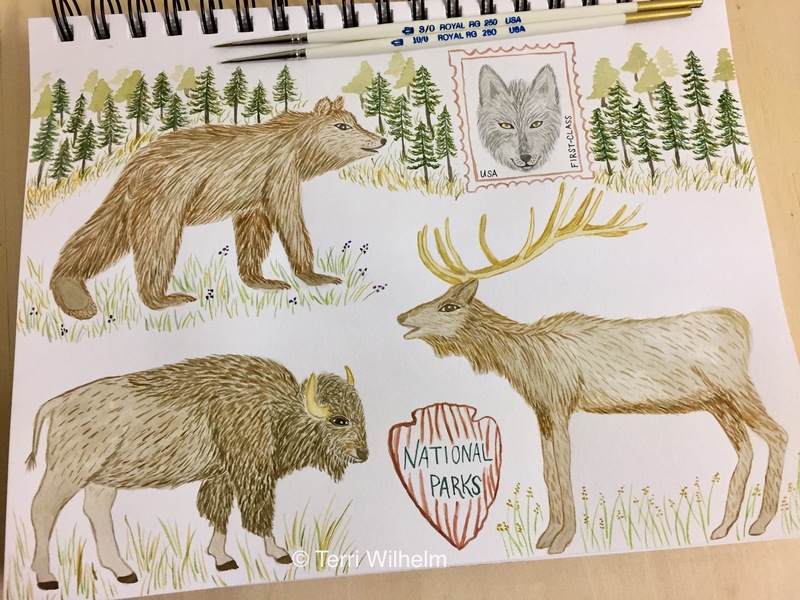 My theme for October is national parks wildlife, so week 39 in my animal art series features a grizzly bear, a bison, an elk, and a gray wolf portrait stamp. After doing a quick pencil sketch of my concept, I like to start painting a watercolor wash for the base color of each animal. Then I love to dive in with my tiny paintbrushes to add details and give them personality. These are great, this is what I think of when someone says animals that live in America.